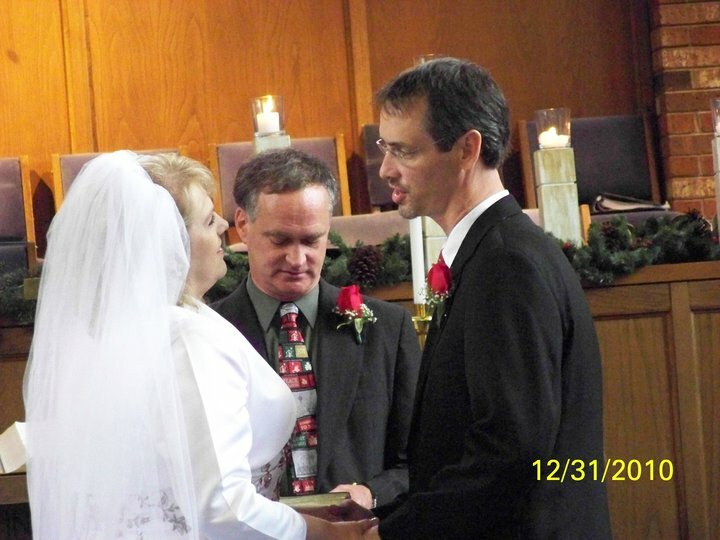 True story: On the very last day of 2010, I married a half-dead man. Yesterday, in my story Cats, I shared how my husband Jon nearly died from a heart infection caused by the Bartonella bacteria, or Cat Scatch Fever. But today I want to share how Jon was not just spared from death only once, but actually three separate times during those early months of our marriage. Three months before I started dating Jon, he had open-heart surgery to repair a leaky mitral valve. His recovery seemed slow from the start, and by the following summer (a year after that first surgery), Jon was experiencing a long list of strange symptoms. He was severely fatigued and pale. He constantly ran low-grade fevers, would wake up multiple times a night either soaking in sweat or shaking with severe chills. His muscle and joints ached, his spleen was swollen and tender, and he often felt so nauseous he couldn’t eat. Jon’s weight plummeted, dropping from 250 lbs prior to the surgery to less than 200 lbs during the fall of 2010. By the time of his official diagnosis on December 22, 2010, Jon was already in the process of dying. His kidneys, liver and bone marrow were in the initial stages of beginning to shut down. Thankfully, a team of doctors and nurses were able to reverse that from continuing to happen, though several of his medical caregivers admitted to me in hushed tones that we got him there just in the nick of time. “A few more hours and we may not have been able to stop the process from happening,” whispered one of our favorite nurses. Deep down, I knew she was being truthful with me. Jon truly was almost too far gone when we arrived at the hospital. A medical test showed a vegetation of infection on his mitral valve that was approximately the size of my pinky finger. It flapped every time his mitral valve opened and closed, flinging bits and pieces of infection out into his blood stream. If the infection hadn’t managed to kill him, a stroke was literally just a heartbeat away from taking his life. Nine days later, Jon and I stood before a small crowd of our family and friends, vowing to love each other in sickness and in health. I had high hopes that the sickness part was behind us. I’ve written a much more detailed and longer post about the miracle of getting Jon’s diagnosis, so if you are interested in that part of the story, you can read it here. Unfortunately, Jon’s medical story didn’t end with that first hospitalization. A month after our wedding, Jon ended up getting a second open-heart surgery because the heart infection wouldn’t clear up with antibiotics alone. His infected mitral valve was removed and he got a brand-new teflon version that clicks rhythmically with each beat of his heart. After another three and a half weeks in the hospital, Jon came home. However, it was clear that other areas of his body besides his heart were not functioning correctly. One main area of concern was his kidneys. Doctors couldn’t be sure if his severely weakened kidney function was a side effect of the heart infection or if the kidneys themselves had become infected too. Therefore, it was determined that Jon needed to have a kidney biopsy. The afternoon following the procedure, Jon looked tired. He said he felt like he needed to rest. Half an hour later, I heard Jon moaning and went to check on him. About the time I entered the bedroom, I saw him stagger from the bed and stumbled toward the bathroom, where he fell to the floor, vomiting. His color was a strange grey; his entire body was covered in a cold sweat. Immediately, I knew something was seriously wrong. Looking back, I should have called for an ambulance. I didn’t. Instead, I opted to cart Jon to the Emergency Room myself. Several times on the way, I thought Jon was going to pass out. When the triage nurse took his blood pressure, it was something ridiculously low, like 60/40. She immediately put Jon on a gurney stationed in the hospital hallway, as all the rooms in the ER were already filled with patients. Within seconds, doctors and nurses were crowded around Jon, starting IV’s and doing who knows what else. I stood to the side and prayed. Soon it was established that Jon was experiencing a massive kidney bleed. He lost enough blood to create a blood clot the size of a brick in his back. He needed six units of blood and spent four days in ICU waiting on the kidney to stop bleeding. After another week in the hospital, Jon was finally able to return home. Days later, we learned the good news that Jon’s kidneys were not infected. As happy as I was, I couldn’t believe my husband had nearly died having a medical test just so we could find out nothing was wrong with his kidneys after all. Surely now, I thought, Jon must be back on the road to good health. It wasn’t even a month later before the third nearly fatal health crisis came to pass. Jon had been encouraged to take daily walks in order to build back up his heart stamina. One afternoon during his walk, Jon experienced stabbing chest pains that radiated down his left arm. Once again, we found ourselves rushing off to the Emergency Room. At the hospital, Jon’s cardiologist ordered an echocardiogram of his heart just to be sure things looked okay. And that’s when the technician doing the test noticed something in Jon’s heart that shouldn’t have been there. “It looked like squid flapping around in my ventricle,” Jon told me afterward. Jon’s doctor was baffled by this new development. In the end, he decided to give Jon some antibiotics and do a repeat test 48 hours later. Instead of improvement, the mysterious thing floating in Jon’s heart appeared to have grown significantly. Twenty-four house later, Jon was headed Oscher’s in New Orleans. Jon and I stared wide-eyed at this doctor, astounded both by the words and by his terrible bedside manner. This was not the encouraging news I was hoping to hear. I already knew, even without bothering to google fungal heart infections, that the prognosis was not good. Now this intern had just confirmed my suspicions and took away all the hope in my heart. For the first time in this long health crisis, I felt completely defeated. I felt so alone, scared I was about to lose the man I loved. Jon, despite the fact that his very life was again on the line, seemed to be filled with a courage and a peace that could only come from God. After the doctor left us alone, Jon held my hand and prayed, telling the Lord that no matter what happened, we would continue to believe that His plans for us were good and that we would choose to trust Him to care for us. The next day, we met the team of doctors who would be trying to treat the medical mystery Jon had become. Test after test was performed … and it turned out that the biggest mystery of all was that there was no infection of any sort in Jon’s heart. In fact, the doctors could find nothing but a healthy heart with a mechanical valve ticking away perfectly. The only thing they could see in Jon’s ventricles was the tissues of the cords that used to open and close his mitral valve. The surgeon had forgotten to trim them back during the open heart surgery. But surely his cardiologist would not confuse these tiny heart tissues for a fungal infection. So where had the infection gone? To this day, that’s the only part of the mystery that remains. But to me it is no mystery. It is evidence that God once again miraculously healed my husband. It’s been four years since my husband fought for his life and nearly lost three times. But in the end God spared him each time. If you saw Jon today, you would never believe he had ever been so desperately ill. Other than the double scar running the length of his chest and the fact that he can no longer digest gluten or dairy (a lasting result of months of treatments from high-powered antibiotics) he looks, acts and is completely healthy. I love to share Jon’s story and how God intervened. It’s testimony to the love and power of God. However, there’s another death that many will spend recalling this weekend … the death of Jesus Christ on the cross. But more than His death, it is His victory over death that provides a way for us to have life everlasting. Catherine, you know the story as well as me … without you there, I don’t know if I would have ever been certain of what God was showing me regarding Jon’s illness. And of course, you were a constant source of encouragement to us during all those many hospital stays. What would we have done without you? Easter blessings to you, too! What amazing testimonies of God’s faithfulness.. Thanks for sharing these stories.. God has amazing things in store for you and Jon. God was incredibly faithful to us during that time. He always is, but times like this are especially dear because you can see the hand of God moving so clearly. Amazing testimonies! I’m I awe. Very inspiring. “Jon held my hand and prayed, telling the Lord that no matter what happened, we would continue to believe that His plans for us were good and that we would choose to trust Him to care for us”. what a great testimony of faith. I’m happy for both of you. What a lot you went though together! I’m so glad your husband is healthy. I remember like it was yesterday. When his cardiologist showed me his first echocardiogram pictures… My heart just fell. He’s truly a beautiful, walking testimony to our Lord God. He has risen, indeed! What a testimony to the way God watches over His own! He obviously has a great work for your husband still to do!